Password-protecting your Windows computer is important to keep it safe from online and offline intruders, but entering the password each time you try to log in into your Windows computer is sometimes frustrating and time-consuming. 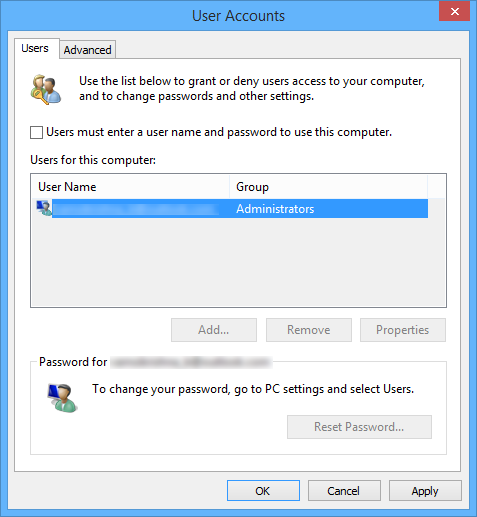 That said, we can’t just remove the user account password, as this negates the security provided by the Windows user account control (UAC). So, if you have a single user PC and if you are looking for a way around this problem, we will show you how to log in into your Windows 8 computer automatically without loosing the additional security provided by your Windows account password. Actually, this little feature in Windows is helpful for single user computers as this bypasses the traditional Windows login screen and speeds up the whole boot process. Note: Even though we are showing this tip using a Windows 8 PC, this trick will work just fine even with Windows 7. This trick only works if you are logging in with a local account. If you are using a Microsoft account to log in into your Windows computer, this trick may not work for you. 1. To make your Windows 8 computer automatically log in, we need to change a couple of settings buried deep inside your operating system. 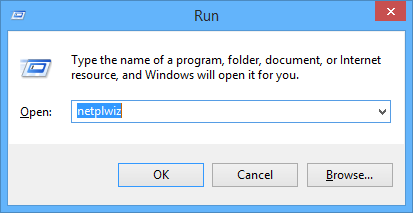 To do that, press “Win + R” to open the Run dialog box. Here type in “netplwiz” and press the enter button. 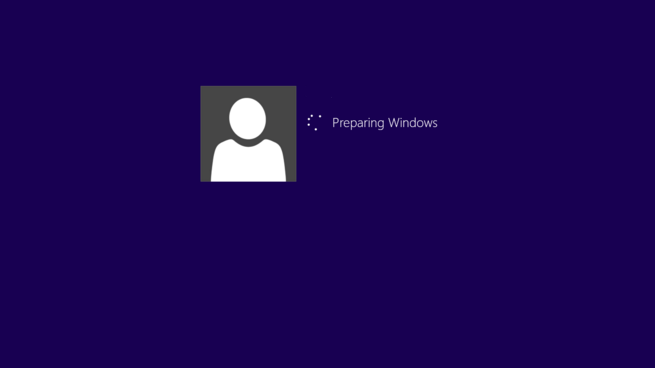 Alternatively, open your start screen by pressing the “WIN” button, type “netplwiz” and press the enter button. 2.The above action will open “User accounts” window where it will display all the user accounts that your computer has. In my case, as you can see, I only have one user account in my PC. 3. Here select your user account and uncheck the check box “Users must enter a username and password to use this computer.” Now click on the Apply button. 4. This action will open the “Automatically sign in” dialog box where you have to enter your password twice. Once you have entered your password, click on the OK button. 5. Here under the user accounts window, click on the OK button to save the changes and close it.That’s all there is to do. 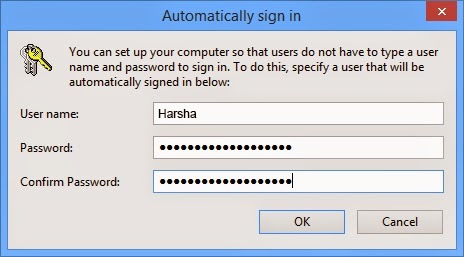 If you ever want to disable this automatic login feature in your Windows 8 PC, just reverse the whole process, i.e. 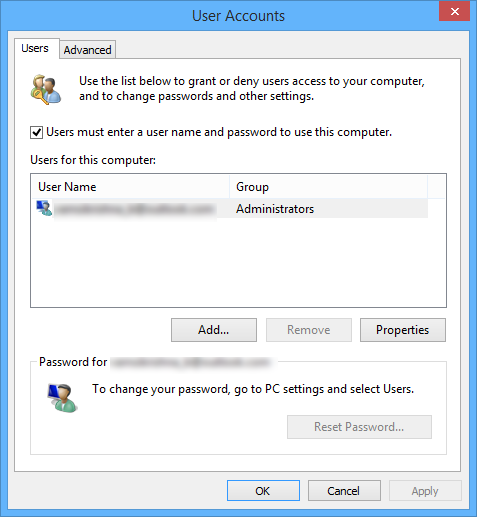 select your user account, select the check-box “Users must enter a username and password to use this computer,” and click on the Apply and Ok buttons to save changes. Using automatic sign in to log in into your Windows computer is pretty neat, but please know that after enabling this feature, anyone with physical access to your computer can easily log in without any requirement of the password. So, if you are really worried about your data while using this automatic login feature in Windows, it is recommended to use some sort of encryption software (like DiskCryptor or the built-in tool, Bitlocker) to encrypt your data in the hard disk.